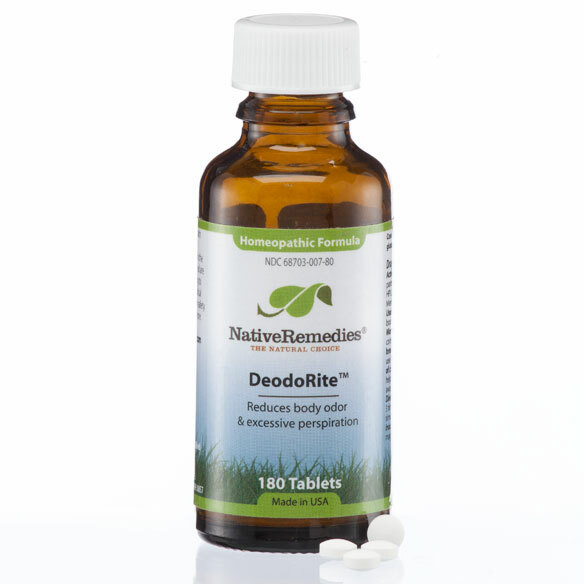 DeodoRite is a safe, non-addictive, natural remedy formulated by our team of experts in natural medicine, containing 100% homeopathic ingredients especially selected to temporarily relieve body odor by addressing the underlying causes and improving the natural cleansing functions of the body. 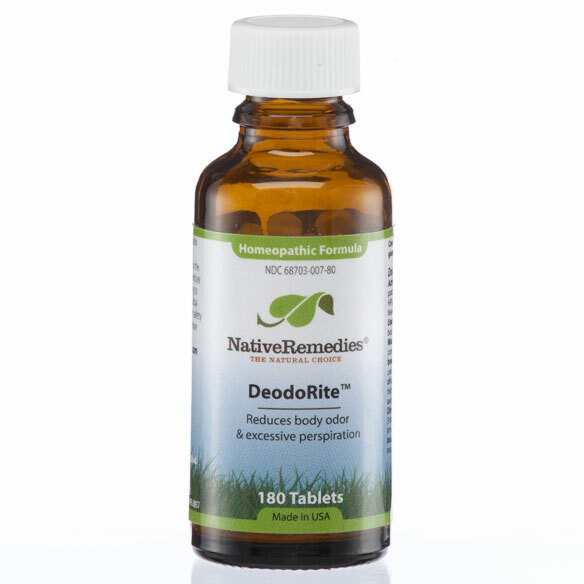 By naturally increasing the elimination of toxins, DeodoRite thus helps support healthy liver functioning and temporarily reduces excessive perspiration. This remedy is taken internally and presented in small tablet form. It is easy to ingest and hassle-free with no artificial colors or preservatives. 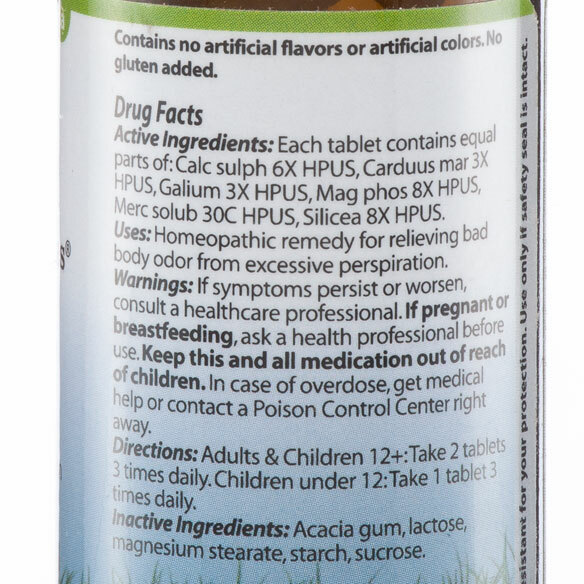 DeodoRite is a 100% homeopathic formula and contains the following ingredients: Calc sulph 6X HPUS, Carduus mar 3X HPUS, Galium 3X HPUS, Mag phos 8X HPUS, Merc solub 30C HPUS, Silicea 8X HPUS. Chew or dissolve these small, pleasant-tasting tablets directly in the mouth. Alternatively for small babies, crush tablets and sprinkle onto tongue. Adults & Children 12+: Take 2 tablets 3 times daily. Children under 12: Take 1 tablet 3 times daily. Caution: Not recommended for those with surgical implants or prostheses unless under medical supervision. If symptoms persist or worsen consult a healthcare professional. If pregnant or breastfeeding, ask a health professional before use. Keep this and all medicines out of reach of children. One bottle of DeodoRite contains 180 tablets and will last approximately 30 days at full adult dosage.